I always had a problem when painting with a hard brush in Photoshop. I found that the default would leave spaces. I never looked into fixing this until today, I used to go over the same area a few times. Not very productive I know. 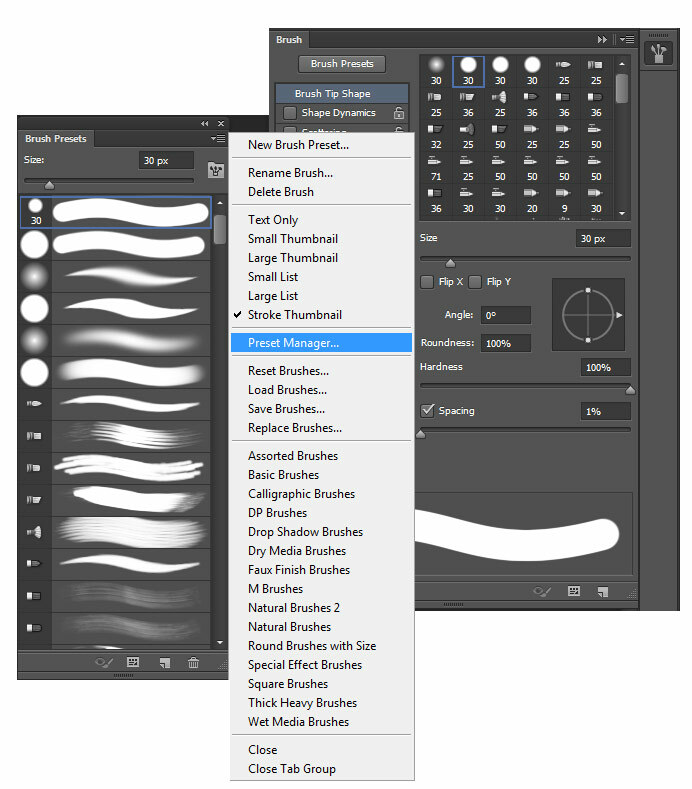 In Photoshop open the Brush Tab by selecting Window - Brush or pressing F5. In there with the Hard Brush selected change the spacing to 1% rather than 25%. And there you are, a nice smooth brush. To save the new brush hit New Brush Preset and OK.
Then hit Brush Preset (top left of the pop-out) Preset Manage and move the new brush to where you want. Then you can save the new set. I have been doing a lot of post production work in Adobe Photoshop with my Wacom tablet recently. A couple of things I came across that I thought might be useful to share. 1. Ring when tapping in Photoshop with a tablet. This can become very annoying. I believe it comes as default in Windows 7. This is how I got rid of the problem in Windows 7 x64 bit. -In the Control Panel search for Edit group policy. -In here you need to go to administrative templates, windows components, tablet pc, cursors, turn off pen feedback. -In this window change from not configured to enabled. -Click OK and your done. Update: There is a lot more information on this subject here. 2. Add a Layer mask shortcut. I am constantly using layer masks and do get feed up of going all the way to the bottom of the Layers pallete to click the button. In Photoshop there is no default shortcut. To add a shortcut click Edit, Keyboard Shortcuts, under Layer Mask> add a shortcut key (I used Ctrl+Q) to Reveal All. Adobe have realeased 6 sneak peek videos on Youtube of the upcoming Photoshop CS6. Video 4 'Content-Aware' was of most interest to me. In the video Product Manager Bryan O'Neil Hughes demonstrates how to move or remove an object from an image using the content- aware tool. See below for the other 4 videos. 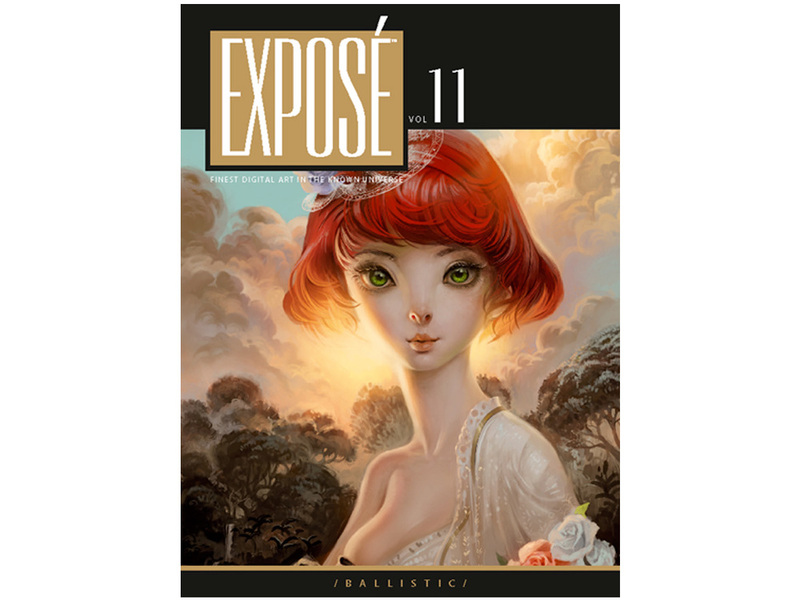 A great tip here from the guys at lifehacker to fix exposure problems really quickly. Open up the photo and duplicate the layer containing it. Set the duplicated layer's blending mode to Overlay. Optional: Reduce the opacity of the duplicated layer if the effects are too much.